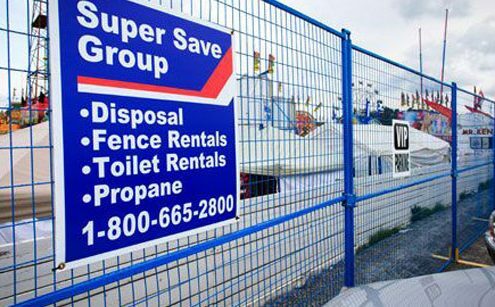 Super Save Fence Rentals has accessories for sites requiring increased security or privacy. 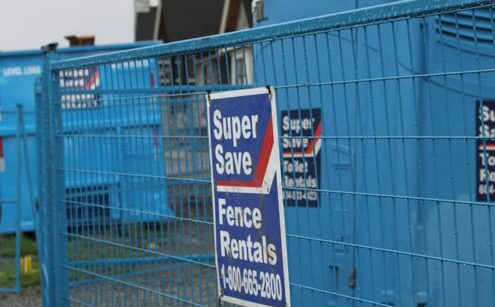 Privacy Screening Super Save Fence Rentals privacy screening is designed to secure directly to our temporary fence panels for construction sites and special events where limiting visual access or containing dust and debris is a priority. 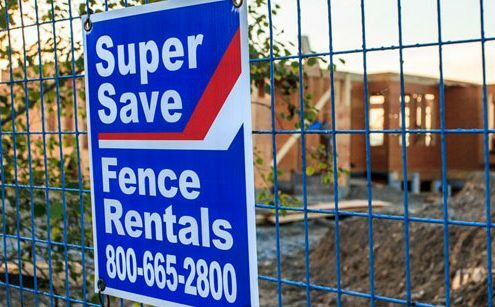 Super Save Fence Rentals is a dynamic company that focuses on putting our customers’ needs first. We provide a superior product and outstanding service. In order to accommodate our customers’ needs, we have multiple options for customized set-ups and removals. We can accommodate irregular hours for set-ups and take downs. For festivals, races and parades, often set-ups are in the very early hours of the morning and take down in the middle of the night. Our team is there to serve you. 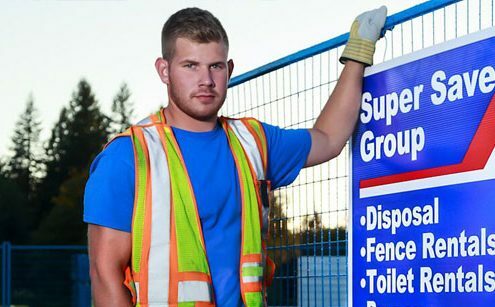 We specialize in emergency fence service and are available 24 hours a day, 7 days a week to handle any emergency fence requirements for fires, accidents and insurance company needs. Some construction sites prefer to set-up the fencing themselves. We are happy to provide drop-off and pick-up service only, should that work best for your site. If you just need a couple panels, and would prefer to pick them up from our yard, we are also happy to accommodate those requests as well. A combination of a few of the options can also be done. Let us know what would work best for you. A narrow panel (3’ wide) allows easier site access for your workers (eliminates the need to move a full-size panel to allow site access). For sites requiring increased security, 4-bolt solid steel anti-tamper clamps are installed between the panels. For regular panel gates and man gates to increase ease of opening panels in high-traffic areas. To secure panels on uneven terrain, slopes or areas prone to high winds. Hilti bolts and concrete anchors are available when increased stability is needed for fence on blacktop and concrete areas. Custom base plates that can mount on concrete jersey barriers are available.